Not quite. But Cami is helping local law enforcement on The Originals Season 3. 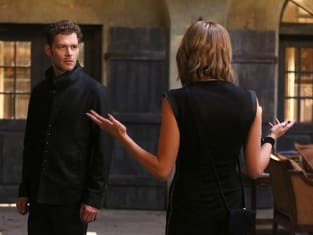 The Originals Season 3 Episode 2: "You Hung the Moon"
Klaus: Mere hours after you lecture me about boundaries and here you are at my house in the middle of the night. Cami: I came through the front door and you appeared through the window like a creeper. Besides this is a matter of life and death. This doesn't frighten you, brother, but one day your daughter will know exactly the kind of man that her father is. If anything should happen to Hayley, you mark my words, no one will have to take Hope from you. She will without question leave you of her own accord. The Originals Round Table: Hope for Haylijah?